The gritty, raw retro styling of the new Meccaniche Veloci Ace Café Collection personifies what speed and performance meant to an entire generation. This bold, brash watch takes its name from London’s famous Ace Café. The legendary Ace Café eatery opened in 1938 to accommodate traffic on London’s new North Circular Road and immediately begin to attract motorcyclists and young people looking for excitement. The café was rebuilt in 1949, after being destroyed during a World War II air raid. During the post-war era, the British motorcycle industry was at its peak and the café became more popular than ever. It became home to the Rocker Movement during the 60’s, and to this day, the Ace Café remains a popular destination for motorcyclists from all over the world to share stories of speed, performance and Rock and Roll. 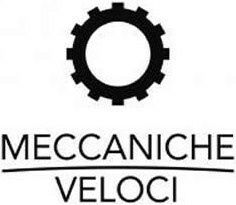 Like it’s famous namesake, the Meccaniche Veloci Ace Café is quickly becoming an icon in the world of watches. It’s hard to mistake this distinctive watch for anything else with it’s tough looking black finished titanium case and partially exposed ETA 2824-2 mechanical movement. 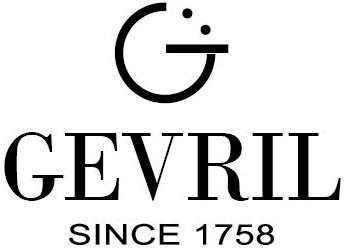 The watch features an anti-reflective sapphire crystal and is fitted with a hand stitched calf leather strap. One of the most distinctive features of this watch it its fully exposed and very functional date wheel. Anyone who appreciates engines and speed will immediately feel a kinship with this distinctive watch. 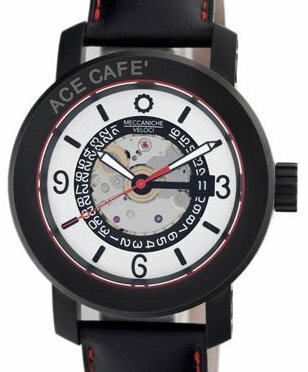 Like all Meccaniche Veloci watches, the Ace Café is available in a wide variety of dial options to suit your own personal taste. 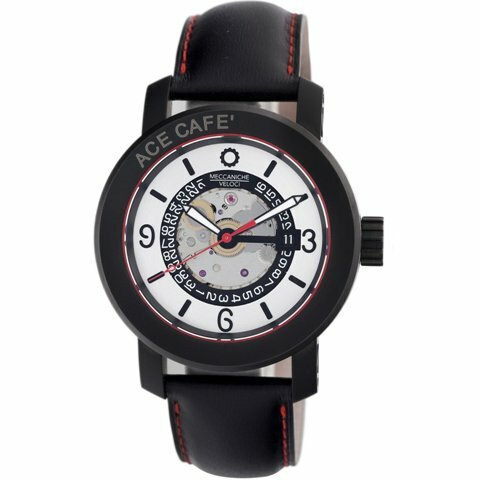 There is also a special 24-hour GMT edition of this watch available in homage to the Ace Café’s continuous 24-hour operation during its early years. The Ace Café was designed with a special man in mind. If you find yourself drawn to the music and motors of the 60’s, you might be that man. Make a statement and start wearing an icon on your wrist. To acquire one of these amazing watches for yourself, contact your Meccaniche Veloci dealer immediately and reserve your Ace Café today.